BIRCHANGER GARDENS: in May when the gardens are at their most spectacular Birchanger is open for a variety of causes. This is a beautiful 7-acre garden with magnificent displays of azaleas, rhododendrons, camellias and magnolias. There is a grassy avenue, lake, lily pond, pergola, Etruscan-style temple and much more. Entrance £5, children free, dogs on leads. Free car parking, refreshments with homemade cakes. 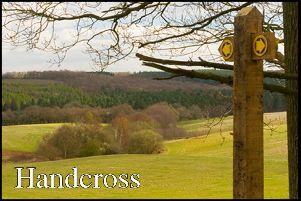 The gardens are located 2 miles east of the A23 at Handcross on the B2110 Handcross RH17 6JY. It is 2 miles north of Balcombe and will be well signposted on the day. On Saturday 5 May it will be St. Mary’s Church who will be benefitting from the money raised. Then on Sunday 6 May it is Balcombe WI. The following weekend it will be open for MacMillan on Saturday 12 May and St. Catherine’s Hospice on Sunday 13 May 2018. The timings will be from 2.00pm – 5.00pm. For further on the St. Catherine’s opening contact Joan Moon on 01444 257610 or check St Catherine Hospice’s website www.stch.org.uk for details of other gardens that will be opening this year to raise much needed funds. On 19 May Tiggers Pre-school will be doing things a little differently by opening 10 – 1 pm for a Coffee Morning style event, and on 20 May it is again 2.00 pm – 5.00 pm for the NSPCC. BALCOMBE CRICKET CLUB: start the season on Saturday 5 December. BALCOMBE FOOTBALL CLUB: have their End of Season Awards ceremony and BBQ at the Balcombe Club on Saturday 5 May. There will be a DJ set from Connor. TRAFFIC: Brantridge Lane from the junction with Handcross Road to Rose Cottage Lane is temporarily prohibited until 4 May at 17:30 pm. This closure is necessary to allow South East Water to replace a stop tap with a new meter and carry out a new connection. Emergency vehicle, residential and pedestrian access will be maintained at all times. ANNUAL PARISH MEETING: will take place on Thursday 10 May at 7.30 pm in Bramble Hall. This is not a Council meeting but will be chaired by the Balcombe Parish Council Chair. All residents are invited to attend and after the business of the day there will be a talk on recycling from a member of West Sussex County Council. BALCOMBE PARISH COUNCIL’S ANNUAL MEETING: takes place on Wednesday 10 May at 8.00 pm in Bramble Hall. BOWLS CLUB: on Thursday 26 April Horley 74: Balcombe 70. On Saturday 28 April the match with Crawley Town was cancelled due to bad weather. On Sunday 29 April the match with Burgess Hill was cancelled due to lack of Balcombe players. Call Alan on 811507 if you are interested in joining the Club – they need new members.